I am super excited to be teaming up with my friend Abigail from Kindergarten Chaos for our summer book study! This summer our book is Mindset by Carol Dweck. I am uber excited to read this book and study along with all of you. This week Abigail and I are teaming up to host chapter 1 of the book study! So, you ready to hear my thoughts on chapter 1? After reading chapter 1, I have 3 takeaways and questions to ponder…. Dweck writes that there are two mindsets we can have: a fixed mindset or a growth mindset. A fixed mindset is a mindset that you have qualities that are carved in stone and unchanging. Dweck says that people with a fixed mindset feel the need to prove themselves over and over again. A growth mindset is a belief that with effort you can grow your basic qualities. Everyone can change through application and experience! So, do you have a growth mindset or a fixed mindset? I have a growth mindset. I firmly belief that I can change and grow and improve through hard work and experiences. I know that I can be a better teacher next year than I was this year because I will put in the time and effort to learn new and better strategies and methods for teaching. Not because I have to…but because I want to. I want to be better and improve so I’m going to work as hard as I can to make that improvement. I do not believe that I have anything to prove to anyone. When it comes to teaching, I am doing what’s in the best interest for my students. That requires constant growth, study, knowledge and effort on my part. If I want to give them the best, I have to be willing to work and grow so I’m being my best. For me, this question is my AHA moment of chapter 1! Why do we stick with the tried and true? Why are we afraid of change and risk? Why aren’t we stretching ourselves? Everyday we expect our students to take risks and engage in experiences that stretch them…so why aren’t we doing that? We are we still using 45,972 worksheets a month? Or following our basal readers word for word? Or sitting quietly in desks in neat rows and working in isolation? Let’s break out of the “this is how we’ve always done it” attitude and start taking risks…thinking out of the box and stretching ourselves to become better and better! As a teacher, what are your strengths and weaknesses? Research shows that exceptional individuals have the ability to identify their strengths and weaknesses….so let’s identify our strengths and weaknesses! How will you address those weaknesses? On page 6, Dweck recalls a story about a teacher who created a fixed mindset in her by the actions of the teacher. So, by our actions, are we creating students with fixed mindsets? Students who can’t enjoy learning or school because they’re so focused on proving that they’re smart enough or good enough? Do we only call on the “smart” kids or give those kids responsibilities such as running errands??? Or are we creating students who believe they can grow and learn if they work hard and not give up? In our classroom we talk a lot about exercising our brains. If we want to be smarter…or better at reading or writing or math or sight words…we have to practice and exercise our brains. Our brains can’t be couch potatoes if we want to be our best. We have a growth mindset because we know we can be better if we put in the effort. Class Dojo has a great video series about growth mindset for kids…I love the video about exercising our brains! Feel free to link up your blog posts for Chapter 1! Differentiating Instruction With Dollar Tree Cut Out! I am so glad that you and Kindergarten Chaos decided to do this book study this summer. I am looking forward to make some fine tune adjustments on my growth mindset. As a teacher candidate still working towards my teaching license, I know this will be a great personal resource now and will continue to be a fabulous resource to pass on to my future students. How can I help them choose to believe they can do whatever they put their mind too? My weakness is that when confronted with challenges I choose to believe in failure and what others think about me. My strength is that over time I slowly work through the challenge and often complete it! I want to improve my belief system … That is what I would like to begin working on this summer… In hopes that the wasted time I spend worrying what other people think can be replaced with action towards the challenge I am faced with. I love the approach you took in this blog post! I think reflecting on our teaching and what happens in our classroom is such an important part of a growth mindset focused classroom. You also said something in your FB LIVE that really resonated with me…take risks, like flexible seating. I have wanted to roll it out in my classroom, but someone in my building made a negative comment and made me question it. Looking back now I realize that THEY were uncomfortable with it, not me. Saying no to the nay-sayers next year and going to take more risks, including flexible seating! After watching your videos and reading the comments, I too think some teachers are afraid to take risks and become stuck with what they know. I wonder if those teachers feel they have to be in control of all things and feel that failure represents that they are not good teachers. Personally I love learning and trying new things. I have seen a psychologist come into a school once a week and work with students on Mindfulness. 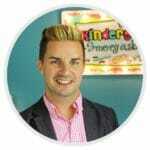 He helped kindergarten students become more aware of their bodies and the things around them. He would talk with them about their thinking and actions without judgement. I feel somehow this plays an important role with mindset. I am also wondering if teaching mindfulness goes hand-n-hand with teaching Mindset with our modeling to students. I have not read Chapter 1 yet but I plan to catch-up with the reading this weekend. I look forward to reading everyone's responses. Hi Abigail!! I think you are right on with your comment,” They are uncomfortable with it,not me”. I am also going to be trying flexible seating. I will still have assigned seats at tables but will be providing flexible seating during independent work times. Part of my behavior management, if students misuse the opportunity, will be for him or her to go to his/her assigned seat. I will see what happens and modify as I go! I think you are going to find that flexible seating is actually quieter and less management after you get going than traditional seating. I actually got rid of the last student work table I had because it was the loudest place in my classroom. I tell my students when they go to find their seat, “Remember to choose a place you know you can get your work done in. We are incredibly lucky to have no chairs or tables because it provides us with more choices of where we can sit.” It works every time :). This paragraph that you wrote: Why are we still using 45,972 worksheets a month? Or following our basal readers word for word? Or sitting quietly in desks in neat rows and working in isolation? Let's break out of the “this is how we've always done it” attitude and start taking risks…thinking out of the box and stretching ourselves to become better and better! Really spoke to me! I know that I need to take bigger risks and stretch myself to be better and better next school year and not be afraid to possibly do something that I know in my heart is the right thing to do for my kinder cubs!! This past year, I decided to not have typical morning work ready for the kinders who arrived early!! I was so tired of it and I knew it was not benefiting my students. That change (which by the way was to have sensory bins for the kinders to explore in and work on skills like rhyming, word families, number sense, etc., instead. ) was a positive and helpful change!! Looking forward to continuing the book study!! Thanks so much!